around the world and fun for all the family. Once again our amazing Rugby 7s tournament is an RFU Secure Trading Sevens Series Qualifier to allow teams to earn points to qualify for the RFU National 7s Finals. Expect fierce competition across the Open, Social & Ladies Rugby 7s Tournaments on Saturday 15th 2019. 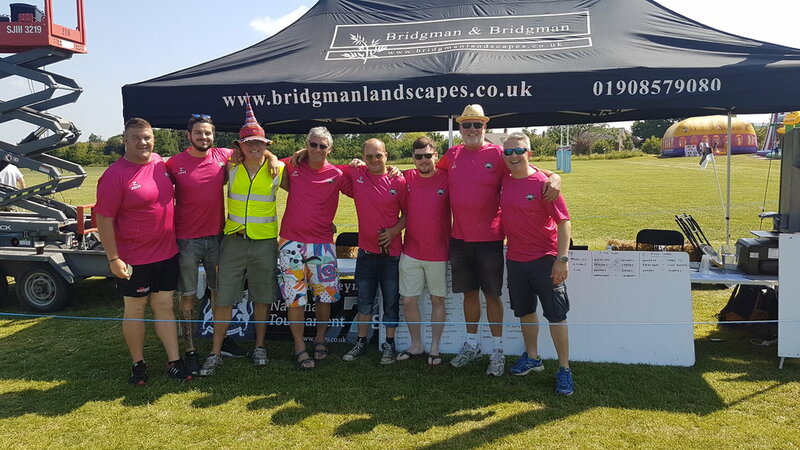 We are now taking entries for the 2019 Milton Keynes Rugby 7s Tournament on Saturday 15th June 2019. With over 40 teams competing, the Saturday tournament will consist of the Men's Open Cup, Ladies Open and Social Cup, Men's Social Cup and after a brilliant first year in 2017, the Men's Beer Drinker's Bowl. Prizes of over £1000 across the five tournaments. Each tournament will consist of group stages followed by knock out stages later in the day for teams that progress. Each team will play a minimum of 4 games on Saturday. We will also be offering an award for the best fancy dressed team and the John Silk award to the team that most embodies the spirit of the sport on the main tournament on Saturday. The after tournament party on Saturday will run at the club until 2am with live music and the action continues in Milton Keynes with night clubs open until 6am (including famous Pink Punters night club) and the 24 hour bar & casino open all night. Men's Open Cup: Suitable for 1st team/academy players from level 7 & above (National League). Prize Money, Trophies & Sponsor Prizes. Ladies' Open: Suitable for 1st team/academy players from level 3 and above. Prize Money, Trophies & Sponsor Prizes. Ladies' Social: Suitable for all players between levels 4 and 6. Played on a smaller pitch with an all-day bar and music. Prize Money, Trophies & Sponsor Prizes. Men's Social: Suitable for 1st & 2nd team players between level 7 and 10. Played on a normal sized pitch. Prize Money, Trophies & Sponsor Prizes. Men's Beer Drinking Bowl: Vets, 3rd teamers, non-rugby players, beer drinkers, pot-belly owners. Played on a smaller pitch with an all day bar and music. Prize Money, Trophies & Sponsor Prizes. Please note, MKRUGGERFEST reserve the right to amend the prize money in the event of any of the tournaments not being filled. Includes entry for 12 players, use of shower & changing facilities & space to bring your own team gazebo. Entry fees are non-refundable. 2019 line up to be announced. MKRUGGERFEST showcases a variety of local bands, solo artists and alternative acts on our outdoor stage to create a fun, sociable and lively atmosphere during the tournament and in our clubhouse for the after tournament party. We love food. Good food, made by happy people. If you do too, then you'll love the sumptuous selection of local food vendors we have lined up for you to enjoy throughout the day at MKRUGGERFEST. It wouldn't be a fun day out without amazing ales, a wide selection of local and countrywide ciders and thirst-quenching beers to keep you refreshed whilst the festivities unfold. Our camping options for the 2019 tournament have changed this year (for one year only) with all teams pitching tents at our Alders Farm Fishery Tournament Camping Village by the lake. Just 15 minutes away from the tournament action, you'll be able to make sure that your team does not miss out on any of the fun and gets a good night's sleep too. Alders Farm offers a ‘bring your own tent’ camping zone with toilet facilitates, onsite cafe for breakfast on both Saturday and Sunday as well as food options for Friday night too. We’ll also be laying on a pre-tournament welcome fire pit party on Friday night at the camp site, with a bar for those of you who want to make the most of your weekend! Separate shower facilities will be available at MKRUFC for both the mens and ladies teams all day Saturday and Sunday morning. For the 2020 tournament, we will move back to our normal camping village with Yurts and Pre Erected Tents at Caldecotte Lake. Bring your own tent - just £8 per person, per night. When's the last time you slept under the stars and cooked dinner over an open fire? Plenty of room to stretch out and enjoy your own space as well as having access to the large campfire area, toilet and cafe facilities. Access to the #MKRUGGERFEST Players Camping Village at Alders Farm Fishery on Friday 14th & Saturday 15th June. PITCH YOUR OWN TENT - £16 per person, for Friday & Saturday. Access to the #MKRUGGERFEST Players Camping Village at Alders Farm Fishery on Friday 14th June. PITCH YOUR OWN TENT - £8 per person, per night. Access to the #MKRUGGERFEST Players Camping Village at Alders Farm Fishery on Saturday 15th June. Your team entry to participate in the 2019 #MKRUGGERFEST 7s Tournament. Thank you for registering your team for MKRUGGERFEST. You will receive further sign up information via email. Our tournament kit sponsor Kappa Teamwear & Speed One Sports have great deals on team wear to all those participating in MKRUGGERFEST. Creative designs and 3 week turnaround - please contact matt.cowley@speedonesports.co.uk for more info. To complete your registration payment, please complete a bank transfer of £140 to Andrew Flowers Sort: 30-94-43 Acc: 02159159 or pay via credit card using this link. Please use your team name as a reference. All entries should be fully paid up by 31st May. FOR THE MEN'S & LADIES'S OPEN TOURNAMENT? The RFU Secure Trading Sevens Series is an RFU community rugby programme to promote the great game of rugby 7s, with 40 existing sevens festivals becoming qualifiers for National RFU Secure Trading Sevens Series Finals on 29th June for Mens & Ladies Open and Social Teams. MKRUGGERFEST is once again a qualifying competition for the series. These qualifiers ultimately feed the Sevens Series National Final on 29th June 2019 at Nottingham RFC. Teams that compete in Local Qualifying tournaments will accumulate series points, and following the conclusion of the last local qualifier in the calendar, the top 20 male and the top 20 female teams will progress to the national finals. Further details of the RFU Secure Trading Sevens Series will be communicated to all teams once confirmed by the RFU. The RFU Secure Trading Sevens and MKRUGGERFEST will showcase some of the best sevens teams and players in the country. A heady, high octane, adrenalin fuelled mix to inspire every rugby club in England. This is a competition for rugby weekend heroes, who want to live the sporting, high life year round, non stop, 24:7. 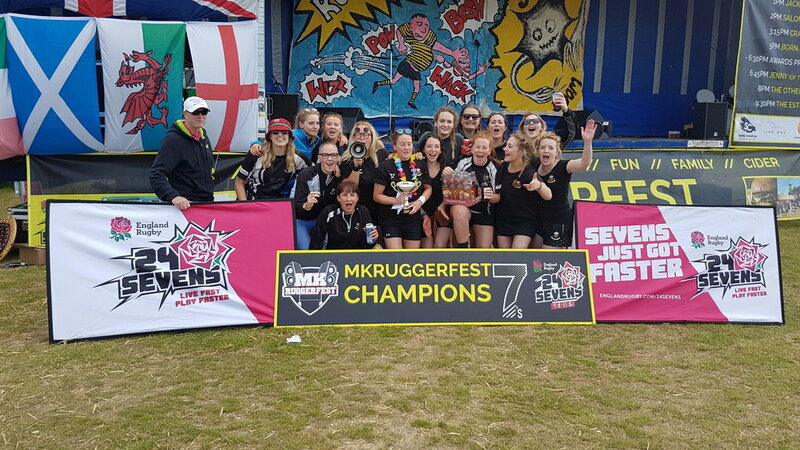 MKRUGGERFEST is proud to be affiliated with the official England RFU Secure Trading Sevens Series and looks forward to showcasing the best rugby our region has to offer. There's plenty to do to keep everyone entertained throughout the day at MK Ruggerfest. As well as the tournament and live music acts, you can enjoy family fun including bouncy castles, fairground rides, face painting, pick n mix and brilliant entertainment all day long. MKRUFC have been supporting Willen Hospice for a number of years and are proud to be supporting them once more with MK Ruggerfest. Willen Hospice is a local charity which provides specialist pallative care & support for families. Their vision is to 'be the lasting and thriving provider of free care to all people affected by life-limiting illness in our community'. Help them by coming along to our event and donating what you can to support a great cause. MKRUFC is a non-profit organisation with the objective of the development of rugby, community and local business within the Milton Keynes area. We aim to provide the local community with the opportunity to play rugby - to support health, well-being and social skills important to maintaining a wholesome lifestyle. 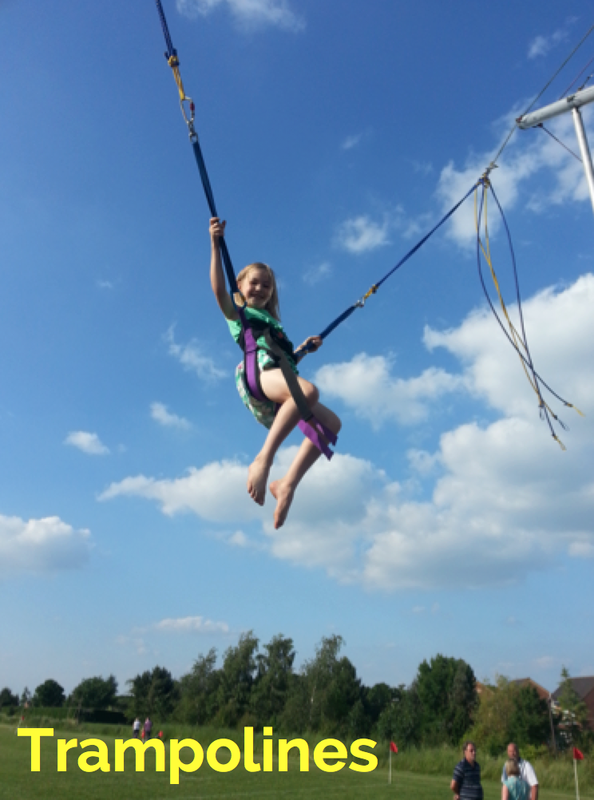 We offer coaching and training to children (from 6 years of age) and adults of all abilities. If you wish to make a donation to the club to allow us to further develop rugby and sport in the region, you may complete the donation on a one off or monthly basis by clicking on the link below or contacting the club chairman, Gary Spinks. We respect your privacy and will not share your email address or send you unwanted communications.